It doesn’t look like much. Thick, obloid, and made of electrum, a naturally occurring alloy of gold and silver, the 1/6 stater on display in the British Museum is one of the oldest coins in the world. Manufactured more than 2,700 years ago in Lydia, in modern Turkey, and decorated on one side with a hand punched design of lion’s head (complete with “nose wart”) the coin represents a way of conducting financial transactions that have remained unchanged for millennia. We don’t carry electrum coins today, but the dimes and nickel, euros or yuan that jangle around in our pockets are little different to those early coins. They might be neater in shape, harder to forge, and decorated on both sides (as well as along the rim) but the technology itself is fundamentally the same. A visitor from seventh century BC Lydia might be impressed at the accuracy and shininess of a quarter but he’d have no questions about what it was for. Coins have always represented value and they have always been accepted in exchange for goods or services. It’s a much easier way of conducting trade than trying to pay a bus driver with an armful of chickens. That simplicity is why cash has survived unchanged, except in the design of its notes and coins, for thousands of years. Until now. Because over the last few years, as technology has connected people around the world, allowing businesses to reach customers without ever opening so much as a store front, the ability to pay with cash has looked increasingly limited. You can’t put $25 in an envelope and send it to Jeff Bezos to pay for a book on Amazon. You can’t drive to someone on the other side of the country and count out the notes to pay for a picture you saw on Ebay. In a world in which the Internet has closed distances, and mobile technology has made commerce available at any time, cash — a financial tool that has worked so well for nearly 3,000 years — has finally met its match. In fact, those limits aren’t new. Owners of small stores have long maintained lists of sales to regular customers that both sides would settle at the end of the month. The introduction of the first credit cards in 1950 extended that credit facility to everyone. The card allowed the storekeeper to receive their funds right away from one bank while the customers could receive their goods immediately and pay a different bank at the end of the month. In 2012, more than two-thirds of consumer and business payments were made with plastic, instead of paper or metal. The growth of credit cards paved the way for eCommerce. Being able to create an account and enter a credit card number meant that Amazon could easily take orders on a website, and eventually come up with its proprietary one-click purchase. Users could browse a store with more products than they could find anywhere else and complete their purchase with a single push of a finger. There was no need to pull out a wallet and hope for change, and not even any need to repeatedly type in a series of numbers. Once customers felt comfortable that their credit card details weren’t going to be abused and that the transaction was secure, eCommerce had all the financial technology (the “fintech”) it needed to get up and to run. But credit cards will only take online purchases so far. Receiving a payment by credit card is excellent for large retail firms that have a relationship with credit card companies. It’s less useful for individuals who want to sell products online. It’s an expensive way to make business purchases. It doesn’t help freelancers who want to charge a list of clients for the previous month’s work. And if you want to pay a friend back for a concert ticket, a credit card will be of little use. Technology has helped to fill those gaps. As eCommerce has grown, as mobile phones have become as smart as computers, and as cash has become less and less useful, fintech companies have produced a raft of solutions that allow money to be transferred between friends and businesses, buyers and sellers easily, quickly and at minimal cost. According to one count, there are now 1,362 fintech companies in 54 countries around the world. They’re building services that range from digital wallets and peer to peer payment apps to NFC software that allows customers to pay in stores with just a wave of their iPhone or Android devices. Many of those businesses are centered in New York, London, Singapore and Israel, but Oslo, Amsterdam, Copenhagen, Stockholm, and Helsinki are predicted to form the next wave of fintech hubs. One in every eleven fintech start-ups is now based in the Zug Valley, Switzerland. Some of those companies might consist of little more than a handful of coders and marketers telecommuting from their bedrooms. Others are giants, both in terms of finance and technology. Google and Apple are among the leading tech firms breaking new ground in mobile-based payments. Investment money is pouring in. In May 2016, fintech companies were sitting on $25.8 billion of investment funding. They were using those funds to create new ways to send money, receive funds, and settle transactions. After nearly three millennia with almost no innovation at all, finance and commerce are now in the throes of a revolution in how money is used and transferred. In this report, we’re going to look at the state of financial technology in 2017. We’ll focus on five fields, and we’ll start witheCommerce. It’s remarkable to think that PayPal is now nearly twenty years old, a dinosaur in technology terms, one of the few dot-coms that made it through the meteor strike of the 1999 tech downturn and continued to thrive in the new Internet world that followed. The platform’s success can be put in part down to a lack of strong competition and the benefits of first mover advantage. Buyers and sellers accustomed to PayPal have proven reluctant to move elsewhere. Ebay’s purchase of PayPal for $1.2 billion in 2002 helped too. The platform became the standard method for individual buyers and sellers to make and fund deals. With that longevity, it’s no surprise that eCommerce is the most mature of the fintech solutions we’ll examine but even here changes are continuing. They aren’t always obvious and they aren’t always visible. But on a range of different platforms and in a number of different ways, the processes by whicheCommerce payments are processed is becoming more sophisticated and more flexible. We’ll look at where the technology stands now and what it means for businesses and customers. The biggest change to hit fintech in the last few years has been the rise of mobile devices. All major banks now have their own apps that allow customers to check their accounts, but those apps are becoming increasingly smart. The need to cash a check at a bank has been replaced by the ability to scan a check with a mobile phone and see the funds in your bank account immediately. Your phone can tell you how your stocks are doing and even suggest investment tracks that you might want to follow. Thanks to hardware embedded in the latest devices, mobile devices can now replace wallets entirely. The tradition of picking up your wallet before you leave home can now be swapped for a grab of the cell phone. A swipe can allow you to board the subway, pick up a coffee on the way into the office and even pay your bills when you get there. 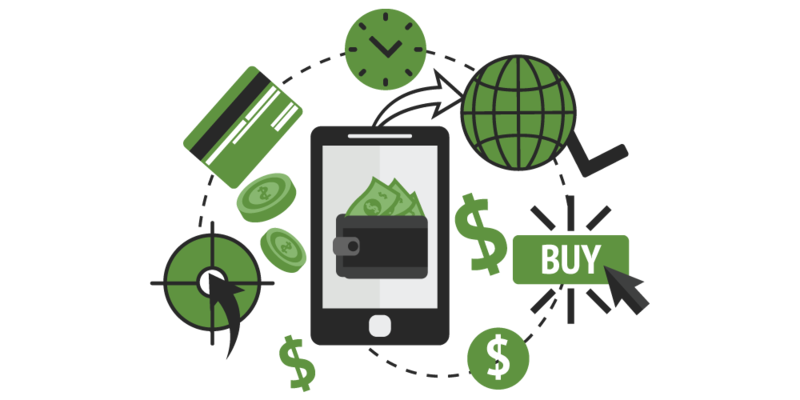 While eCommerce is the most established and mature aspect of fintech, mobile payments are where much of the innovation is now happening. We’ll explore what's going on now and where it’s likely to lead. 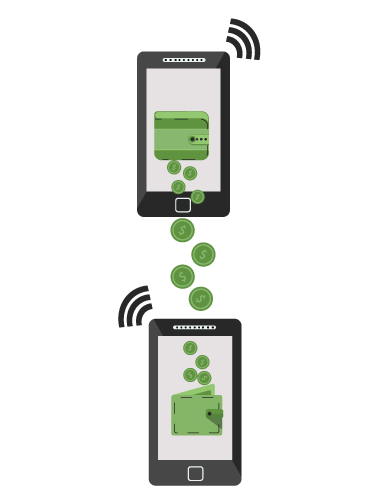 One aspect of mobile payments that’s shown lots of innovation in the last few years has been peer-to-peer payments. Instead of handing over a bill to settle a small debt, individuals can now send each other a digital payment that takes a second to transfer. It’s an idea that’s spurred innovation in dedicated companies, including one now owned by PayPal. But it’s also attracted the attention of social media giants who want to give their members a way to settle debts without leaving the platform. At the same time that some companies are creating ways for people to give each other money, other firms are building platforms that allow people to lend each other money. In addition to examining the remarkable innovation taking place in peer-to-peer payments, we’ll also look at the state of peer-to-peer lending. Most of the innovation in fintech is coming from technology and finance firms who see healthy profits in transferring funds. But the most revolutionary change in fintech has originated from an individual operating under a pseudonym. Satoshi Nakamoto’s blockchain didn’t just pave the way for a new way to make digital payments. It allowed the creation of an entirely new currency, one free of the control of governments, and managed entirely by its users. We’ll look at the state of cryptocurrencies, including bitcoin, and we’ll assess the stability of a payment method designed for the digital world. Finally, we’ll look at the money itself. Investors clearly see fintech as a primary source of growth, and venture capitalists as well-known and as savvy as Mark Andreessen and Reid Hoffman are placing their bets. We’ll look at where the smart money’s going so that we can see what’s happening this year and what’s likely to develop next. Fintech might not be as familiar to the public as wearable technology or consumer electronics. But it is an area that everyone is likely to use and even rely on daily. In this report, we’ll look at where fintech in all its forms stands now. In September 1998, two things happened that would change the Internet… and the world. One was the launch of a search engine with a strange name. Google would go on to dominate the Web, allowing users to sort through billions of Web pages in a fraction of a second to find the information they needed. The Internet would never be the same again. The other was the was the launch of Fieldlink, a security firm that aimed to store encrypted information on Palm Pilots and PDAs. That name might not be as familiar; Palm Pilots and personal digital assistants have gone the same way as the Filofax and the blotter pad. But the company marked the first steps on a road that would generate changes no less important than those created by Google, and create an entirely new industry: fintech. Within three months, Fieldlink’s founders, Peter Thiel and Max Levchin, had founded Confinity, which later merged with Elon Musk’s X.com to create a new business. In June 2001, X.com became PayPal, and a new Internet giant was born. Fieldlink’s original vision of building a digital wallet that could be more secure than a physical wallet was about to become real. That company has gone from strength to strength. In 2000, PayPal teamed up with Ebay, allowing the auction giant to accept payments on behalf of its sellers, and giving the platform access to 100,000 new customers. In 2002, with PayPal now serving a million customers, eBay reached into its own resources to pay $1.5 billion to buy the company outright. The marriage didn’t last a lifetime. In 2014, eBay spun off PayPal, freeing the company to make deals and provide services to a range of competing companies. For PayPal, the move has been liberating. In the fourth quarter of 2016, nearly $100 billion passed through PayPal’s servers. That money was used to pay for purchases on online auction sites, to pay freelancers for their services, to pay businesses for their products, and to pay back friends and family for loans and outlays. Of that $100 billion, PayPal kept just under $3 billion, a take rate of about 3 percent. PayPal now has around 200 million active accounts. 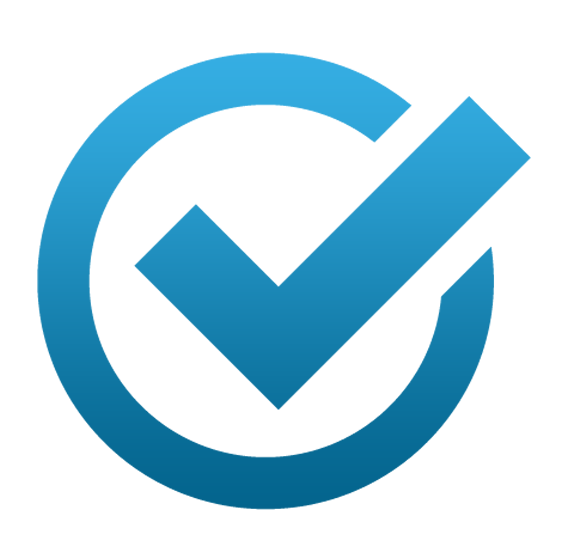 The basic functions offered by PayPal have remained largely the same. Users can send invoices to clients or customers, receive funds in their digital wallets and add funds from their bank accounts and credit cards. PayPal has now added some interest payments as a way of encouraging clients to leave their funds in their wallets instead of sending them directly to a bank, but those key features have remained unchanged. So too has the main benefit that PayPal offers businesses: not just the ability to accept payments online but the opportunity to add a payment feature to their own websites. The deal with eBay that first put PayPal on the map has now been replicated by companies large and small. In addition to PayPal’s own API, businesses can choose from a range of different APIs that can quickly put a checkout button on their website or add a complete payment system. PayPal Checkout, for example, gives “smaller merchants with a basic site and inventory” a Buy Now HTML button from its PayPal Payments Standard program. More complex sites can use an Express Checkout integration that minimizes the steps that buyers have to take when they check out. PayPal places on top of the merchant’s site a window that allows them to make their payment. PayPal has since expanded this feature to include One Touch. Combined with Express Checkout, customers are able to stay logged in for six months at a time. PayPal emphasizes the benefits that few clicks can have on conversions. A business that use a PayPal integration get a feature that would have cost lots of time and money to build for themselves, and save their customers the extra — and sales-killing — step of having to enter their payment details. PayPal gets access to a whole new customer base. For users, that payment service provision is one of the unseen aspects of PayPal but it’s part of the infrastructure that now underpins how business is conducted on the Internet. For PayPal, the technological development has been towards greater speed for users and more attractive integration for buyers. But one big deal still escapes them. Customers of Amazon, the Internet’s biggest online store don’t make their payments through PayPal. The reasons include PayPal’s relatively high fees. While Amazon would be in a position to negotiate down its standard rate of 2.9 percent plus $0.30 for US transactions in the same way that big retailers like Walmart have been able to negotiate with credit card companies, it’s unlikely that PayPal would be able to cut its rates low enough to satisfy Amazon. And with more than 300 million active customers whose payment details are already in its databases, Amazon has little to gain from PayPal’s quick checkout process; Amazon’s own one-click payment system couldn’t be any faster. In fact, Amazon is now one of PayPal’s competitors. Just as the company has turned its servers into a resource that it can rent out to generate revenue, so it has also monetized its payment system since 2007. Fees are similar to PayPal’s and buyers already registered with Amazon won’t need to enter their payment details again. Despite that apparent convenience, the system is relatively unpopular. Clients might include Patagonia, Jockey, and Blick, but overall usage may be as low as 15,000 websites. Retailers may well be reluctant to give some of their revenues to a company that’s also their biggest competitor, especially when they have alternatives. And there are plenty of alternatives. Stripe supplies a payment service for more than 100,000 companies in more than 100 countries. The company emphasizes its neat code and “advance machine learning” that crunches data to gain a better understanding of fraud. Its investors include Peter Thiel, Max Levchin, and Elon Musk. Authorize.net is even more attractive… and even predates PayPal. The company was founded in 1996, and while PayPal’s individual customers and its deal with Ebay might have given it enough of a boost to make it an industry leader, Authorize still serves no fewer than 440,000 merchant customers. Again, prices are similar to PayPal’s but Authorize’s payment gateway is browser-based and hosted so merchants don’t need to install or maintain software. The payment system offered by Due works in a similar way. We too provide an API that lets businesses accept payments on their websites, and while we’re relatively new, we are finding that there is a demand among merchants for a payment platform that’s fast, reliable, simple and flexible. In general, though, the market for e-commerce payment platforms is now highly competitive. Merchants have more than a dozen leading companies to choose from, all of them offering solutions that allow them to accept payments. The decision about which platform to use will depend on a number of factors. First, the payment gateway has to integrate with the eCommerce platform being used by the merchant. It is possible to turn a Wordpress site into an online store, for example, but not every payment gateway will be compatible with Wordpress. Accessibility will be an issue. Stripe emphasizes its international offices and at Due, we accept multiple foreign currencies, but not all eCommerce payment platforms will work in every jurisdiction. The choice of payment platform will in effect be limited by the number of service providers operating in the area. Once the technical requirements have been met, merchants will be free to make a choice. The cost will be a factor but fees charged by payment platforms are already highly competitive. Solution providers are hemmed in by the commissions and fees they have to pay the banks and the credit card companies. While some large corporations will have the ability to talk down rates (and at Due, we’ll beat any lower rate you can find for accepting credit card payments), in practice, many payment platforms have already cut their fees as low as it’s possible to go. A more important factor then will be the usability. Merchants don’t want to lose customers between the decision to buy and the checkout process. The reason that both Amazon and PayPal have put so much effort into minimizing the number of clicks between the decision to buy and the placement of the order is that they understand that the moment someone has to enter their credit card details or their password is the moment that regrets and doubts start to lower sales. The design of the payment platform, its ease of use and the way in which it fits into the website will all be a major factor in the choice of payment platform — more important, in fact, than the ease of implementation for the merchant. Finally, merchants might also consider the speed with which they can access their funds. In practice, though, this often comes down to the degree of trust that the platform can place in the merchant. The greater the volume of transactions and the greater the frequency of use, the more trust the merchant wins, and the sooner the funds appear in the merchant’s bank account. 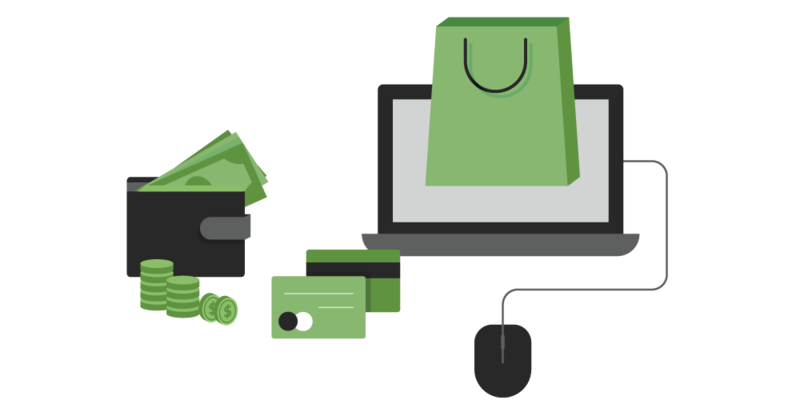 Ecommerce payment solutions are the most mature part of fintech. Development of the first platforms began more than twenty years ago, and some of those early platforms are still in use. The result of that longevity (at least in Internet terms)is an environment that’s highly competitive. Fees have fallen about as low as they can go. PayPal’s 3 percent take makes for a very small profit margin and is typical of the industry. As the company offers more free services that general profit margin will only shrink, making it even harder for ecommerce payment platforms to lower fees. Attention has also been paid to implementation so that businesses can quickly take APIs and work solutions into their own websites, keeping users on their sites and reducing the steps required to check out. For any business that wants to take orders online, the choice will boil down to convenience and preference, rather than to any major differences between the platforms. It might seem strange to talk about an industry little more than twenty years old as being mature, but in Internet terms, twenty years is a long time, and this sector at least shows all the signs of maturity and stability with plenty of competition. Jim McKelvey blows glass. He sells his unique glass fittings from his studio in St. Louis, accepting payments in cash, by check, and by Mastercard or Visa. In 2009, he found himself talking to a customer in Panama who wanted to buy $3,000-worth of glassware… but who only had an American Express. Her husband had a Visa but he wouldn’t be back for another week, and the glass artist realized he was about to lose what would have been a very valuable deal.McKelvey might not have been connected to every credit card network but he was also a tech entrepreneur and he did have one valuable connection. He told his friend Jack Dorsey, who was then the CEO of Twitter, about his frustration with the financial technology available for small merchants like him. Together, the two of them brainstormed. That year, Square, a company that Jack Dorsey now leads at the same time as running Twitter, released a small white credit card reader. The reader plugs into the earphone socket of a mobile phone and works with an app to charge credit cards and pay merchants.The launch of Square, now a public company with a market capitalization of nearly $5.2 billion, is one sign of the degree of innovation affecting one part of fintech. As smartphones have spread around the world, the ability to turn a small computer capable of transmitting information wirelessly into a mobile, electronic payment tool has meant that Peter Thiel and Max Levchin’s vision of a digital wallet is now largely coming true. Almost everyone now has a device capable of making payments without touching cash or plastic. According to one report, 39 percent of mobile users in the US made a payment with their mobile device in 2015. At Due, we expect that ratio to hit 70 percent by the end of 2017. A study by Juniper Research concluded that the value of mobile wallet spending worldwide in 2017 will rise by 32 percent to reach $1.35 trillion, driven largely by spending in East Asia, particularly on China’s Alipay and the social media/payment platform WeChat.The innovation in mobile payment is primarily happening in three areas.First, that traditional eCommerce payment solution providers haven’t been left flatfooted by the rise of mobile devices. As Internet users have shifted to using handheld devices instead of the laptop and desktops of the dot-com boom days, they’ve made sure that their payment systems are mobile-friendly. It’s now just as easy to make a purchase on a website on a mobile phone as it is on a large screen.Similarly, mobile wallets have also come of age. Platforms like PayPal have created their own apps that let users make payments wherever they might be. If Jim McKelvey had had a PayPal account, his customer could have pulled out her phone, opened the app and sent the money from or through her PayPal account to the glass artist. (Fortunately, it appears she didn’t, otherwise McKelvey and Jack Dorsey would have been several billion dollars worse off. )Some of the innovation in mobile fintech has come not from technology or finance firms but from the merchants themselves. A number of restaurant apps allow customers to place orders by entering their credit card details, and others have gone further. Starbucks, for example, has taken a more creative approach. The company allows customers to add funds to its app, using their credit card or PayPal, place their order and arrive at the store to find their soy frappucinnos waiting for them. In effect, the company has sped up the payment process but payment and purchase data are stored on the customer’s device. (Another mobile point of sale services use the merchant’s device but do not store the data.) Around 1,200 Starbucks locations now receive at least 20 percent of their orders through mobile order and payment, a rise that’s starting to cause problems at the hand-off.But while outlets look for ways to turn smartphones into order and pay stations, the significant movement in mobile payments is coming from a new piece of technology. The growth of Near Field Communication depended on a change in hardware; NFC devices use a special chip embedded in the instrument to send small amounts of information wirelessly over short distances. Both Apple, in the form of Apple Pay, and Google, in the shape of Android Pay, use NFC to take payment data stored on a mobile device and transfer funds to a merchant when the device is waved over a sales point in the merchant’s store. Again, all data is stored on the phone and can be quickly blocked if the device is lost or stolen. Samsung has its own unique system for its devices but so far, Apple appears to be enjoying the widest rollout. A payment made by a swipe of an iPhone is now accept by 36 percent of US merchants.Even that swipe, though, may soon become a thing of the past. Transport for London, the company responsible for managing the London Underground, recently tested its ability to track the location of mobile phones connected to the subway’s wifi system. The data could allow the company to better manage congestion but some experts have suggested that it might one day enable to TfL to complement the Oyster card that passengers swipe at the beginning and end of their journeys with an automatic payment system. The transport body could use passengers’ phones to measure the distance traveled and charge passengers through their mobile devices. That would be a simpler version of the “Walk Out Technology” that Amazon has promised to pioneer in its Amazon Go bricks and mortar stores. In those stores, customers will swipe a QI code on a mobile phone app when they enter the store. “Deep vision technology” and “sensor fusion” tracks the items customers choose to buy and when they leave they store, their mobile device notes their location and charges to their Amazon account anything they’ve taken with them.One factor that might affect the development of mobile devices into personal payment platforms is the issue of security. An experiment by Google reveals how at least one company is considering dealing with the problem. Instead of using an NFC chip to take the payment, Google’s Hands-Free app uses the company’s location services, together with Bluetooth Low Energy and wifi to detect a customer’s location. Customers can tell the cashier that they want to pay with Google and can then look into a camera mounted on a large box that looks a little like a Monopoly house. The camera matches the image to the photo used on the Google profile. Google says that it won’t use the purchase data to better target advertising but when used on iOS devices, the system will give Google a way to track the location of customers not using Android.Bluetooth Low Energy devices aren’t new. PayPal’s Beacon dates back to late 2013 and is a payment-oriented version of a technology intended to allow merchants to send location-based advertising to nearby customers. A shopper in a department store, for example, might receive advertisements on their phone from scent manufacturers when they enter the perfume department. PayPal’s Beacon sends a regular call from the merchant’s point of sale system that looks for compatible devices. Those devices send back identifying information to the POS, including the customer’s photograph. When the client reaches the cash desk, the cashier can select the name of the client and charge their PayPal account.The range and variety of the different of methods payment now being tested reveal the extent to which mobile payments are still a platform in flux. From NFC to BLE, software and hardware manufacturers, merchants and fintech companies have a spectrum of different ways to deliver funds through a mobile device. And the base technology changes rapidly too, forcing businesses to adapt their models. When Square produced its credit card reader, the small device looked like a remarkable piece of hardware and a novel use of the headphone jack. The release of the iPhone 7, which removed the headphone jack, required the company to look for new designs. Although the company still offers the small plug-in device, it also now supplies a contactless chip reader that can both manage Apple Pay transactions and read chip-based credit cards. If wearable technology advances, it’s possible that we could see mobile payment devices spread to include fitness bracelets and stand-alone smartwatches. Technologically, there’s no reason that mobile payments have to be limited to the most commonly used mobile devices.One of the biggest problems faced by fintech companies experimenting with mobile payments is the current lack of a global standard. A single technology standard, implemented worldwide, would allow fintech companies and merchants to focus their research and experimentation within a narrower field in the same way that video and audio industries chose DVD and MP3 as their standard formats. As the technological advances in mobile devices themselves shorten, and as it becomes clearer which payment methods merchants and customers prefer, the chances of standardization increase. Until then, however, expect to see continued experimentation in methods of making payments with mobile devices instead of with cash or credit cards. And expect to see small merchants like Jim McKelvey wonder which mobile payment methods would suit their business best. The rise of smartphones and of mobile solutions as innovative as Square and NFC-based systems have created new opportunities for small businesses. Merchants as small as individual glass artists selling out of their studios or at art fairs and garage sales can now accept credit card payments instead of cash. But few people tend to walk around with a Square device in their pocket so even those solutions still fail to resolve all of the issues surrounding payments. Small debts owed to friends or family members — split dinner checks, for example, or payback for cinema or concert tickets —still need to be settled by cash. Square might allow a landlord to accept a credit card payment for rent but it doesn’t help one renter recoup the share owed to his roommates. The need for a system that can handle small transactions between close individuals has led to the formation of a new branch of fintech: peer-to-peer payments. Operating in a similar way to payment platforms like PayPal, a P2P payment system allows users to send each other direct payments using their mobile devices through a linked debit or credit card. The standard example used to illustrate the method is to split the check for a dinner. Instead of placing a number of credit cards on the plate and asking the server to split the check in a number of different ways, or one person paying and everyone else searching their wallets for the right amount of change, a P2P platform allows people to pay while everyone else pays that person back with their phones. They open the app, enter their friend’s name and the amount they want to pay, and the funds are transferred from their digital wallet or their credit card directly to their friend. The recipient can withdraw their funds to their bank account or keep them in their wallet to make their own P2P payments. The leading service in this space is Venmo. Launched in 2009 by two roommates at the University of Pennsylvania, the inspiration for the service was the difficulty that one of the roommates had to pay back the other after forgetting his wallet. The system was initially built through text messages but soon developed as an app. Three years after its launch, the service was bought by Braintree for $26.2 million. The following year, PayPal paid $800 million for Braintree, gaining possession of an easy way to send funds from one digital wallet to another. In 2015, Venmo processed $7.5 billion in transactions, and by the end of the following year was well on its way towards managing $20 billion in annual sales. Although the app now dominates the large and rapidly growing market for P2P mobile transfers, it’s not alone. In 2013, for example, Square launched its version in the form of Square Cash that allows users to send each other funds through an app linked to a debit card. The system, though, has flaws. To claim their funds, users need to have downloaded the app, giving the company with the largest user base an incumbent’s advantage. It’s that lead that has made Venmo so hard to move from the top spot, especially among young people for whom “venmoing” is as much a part of student life as copying essay material from Wikipedia. For the companies building the systems, P2P funding also has an income problem. Sending funds from one Venmo account to another using your Venmo balance, debit card or prepaid card is free. There’s only a charge, of 3 percent, if you fund the transaction with a credit card. It’s one of the factors that has kept PayPal’s profitability so low. But the biggest challenge for P2P transfers is the lack of buyer and seller protection. While PayPal and other eCommerce payment platforms can provide some forms of guarantee to protect transactions, Venmo and other P2P tools provide none. At the same time, while notification of a successful transaction is received immediately, the processing of the funds can take a few days. That delay has led to reports of buyers using Venmo to pay for goods they found on Craigslist. The seller receives notification and hands over the goods but the buyer later cancels the payment before the transaction is complete. It’s also why P2P payment services stress that their app should not be used for any commerce. The system is intended to be used by people who know and trust each other. P2P service providers, however, have recognized that one way to earn more revenue from a service that is mostly free is to bring in professional merchants who make frequent transactions and can afford to pay for the service. 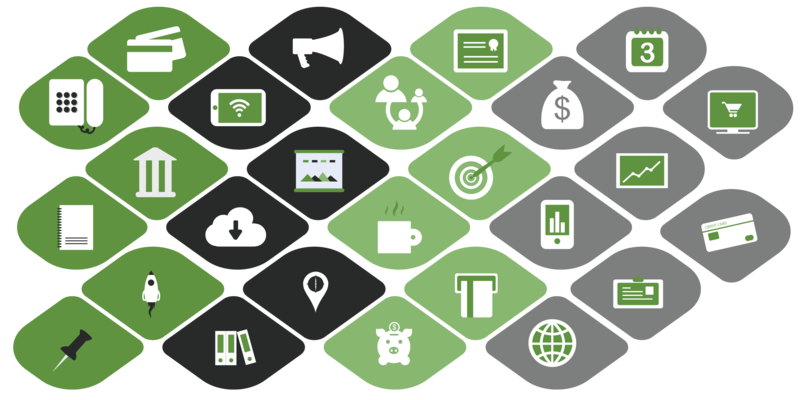 In 2015 Square extended the functionality of Square Cash to allow any user, including businesses and non-profits, to set up payment pages using a “cashtag” at Cash.me. 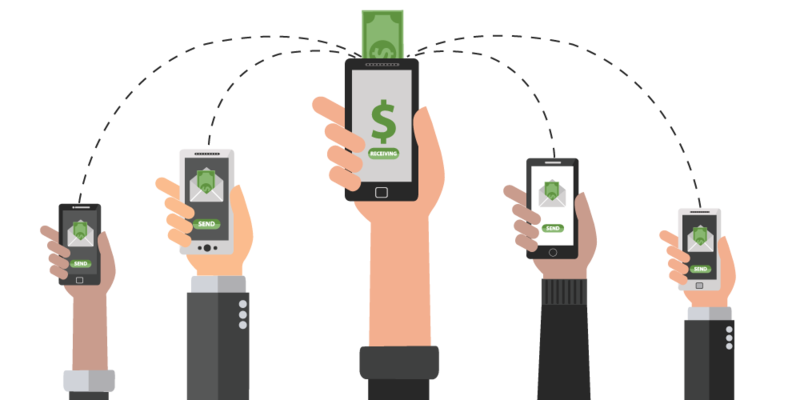 Instead of sending the funds to another user with an app, users could send payments from the app to a merchant’s payment page. The fee of 1.5 percent is lower than Square’s usual 2.75 percent, but the company says that debit cards transactions are cheaper to process than those of credit cards. Venmo has started allowing some merchants, including food delivery services and ticket sellers to accept payments made through the app. One of the surprising features available on Venmo is the public nature of the transactions. Payments are published on friends’ news feeds, encouraging users to make their payments but also revealing relationships between friends. Part of Venmo looks like a social media platform. That hasn’t been lost on the social media platforms themselves. WeChat, China’s version of Facebook, introduced mobile payments in 2013. The service received a huge boost the following year when the company rolled out Red Packets. Based on the red envelopes containing money that people in China hand out at weddings and other events, the feature allows users to send funds to a group of individuals. Members of the group have a day to click the envelope to receive their funds and the share they receive can vary. Each recipient might receive an equal amount, a random share or a share based on the amount of time it took them to tap the envelope. Part of the aim for senders is to encourage group members to check their messages; businesses have been known to send them to employees to ensure that staff read notices. But once a member of WeChat has a WeChat wallet, the site offers other services, including the ability to buy movie and travel tickets, hail a taxi, and pay bills. Around 300 million of WeChat’s more than 700 million active users have connected their bank accounts to WeChat Pay, which has become the driving force behind the surge in China’s mobile payments. In 2015, the value of mobile transactions in China, a country with a lower usage of credit cards than in the US, passed American usage to reach $235 billion. In 2014, 20 million red envelopes were sent on WeChat over the six-day Chinese New Year. A year later, 3.2 billion envelopes were sent. Mark Zuckerberg, who has been trying without success to bring Facebook to the Chinese market, has sought to emulate some of WeChat’s payment features. In March 2015, the company integrated a P2P payment process into its Messenger app. Like Venmo, the service was aimed at allowing members to send small amounts of money to friends and family. Users see a dollar sign in the app that allows them to enter their Visa or Mastercard debit card numbers. They’ll then be able to send the funds to someone in their contact list as quickly as they can send them an emoji. The service is free, and Facebook says that the aim is not to build a payment business. It’s not heavily promoted and so far Facebook isn’t offering the same range of purchase options as WeChat. Initially, at least, it’s more likely to be a way to avoid users leaving Facebook for Venmo. Snapchat offers a similar service with Snapcash. Promoted through a bizarrely cheesy video, the service allows users to attach a debit card to an account and, by pressing a dollar button, send funds to a contact. Matching the Snapchat style, senders can flick dollars across the screen, and recipients receive a shower of bills. As P2P systems spread from dedicated platforms to increasing numbers of social media apps, larger numbers of people will find that they’re able to send and receive money to and from their friends. At the same time that P2P payments are spreading, though, another form of peer-based financing is also developing. With interest rates stuck in the doldrums and government bonds offering returns that struggle to beat inflation, investors are looking for other ways of making their assets work. P2P lending isn’t a payment system but like P2P payments, it allows individuals to pass funds from one to the other (and back again) without the intervention of a traditional financial institution. The largest P2P lending platform is Lending Club. Founded in 2007 and raising nearly a billion dollars in its IPO a year later, the company has over $24 billion in loan issuance and has issued more than $1.5 million. Loan periods are for 36 or 60 months and range up to $40,000 for individuals and between $5,000 and $300,000 for businesses. Investors purchase notes in $25 increments, allowing them to spread their loans over multiple borrowers. Loans are placed in seven grades according to risk but investors can expect to see a median return of between 4.7 and 6 percent depending on how long they keep their portfolio. While investors can place as little as $25 they must also pay a service fee of 1 percent of any borrower payment received within fifteen days of the due date. Lending Club dominates the market, with a 45 percent market share, but it has suffered after an investigation found “improprieties” affecting millions of dollars’ worth of loans. That’s allowed competitors, notably Prosper, to fill some of the gaps. The company was the first P2P lending platform in the US and also offers loans for 36 or 60 months. The loans, in amounts ranging from $2,000 to $35,000 are only paid to individuals, not businesses, and the company has made over $8 billion in funded loans. Lending Club is said to offer high returns on some loans but Prosper boasts lower overall default rates. There’s clearly a difference between a P2P payment system that allows friends to send each other small amounts of money and a lending marketplace that allows strangers to buy shares of loans made to multiple individuals. Both systems, however, use technology to cut out financial institutions and provide a way for people to transact directly with each other. In the next chapter, we’ll look at what can happen when technology completely replaces the usual governmental regulations that affect the maintenance of currency. A customer can pay a business online in dollars, euros or yuan. They can enter their credit card into an online payment gateway, transfer funds from one digital wallet to another or flick money across a social media network but those transactions will always have one important element in common. The currency will always be produced and regulated by a central bank. The bank will decide how much money is in circulation, and the bank will determine the value of that currency by adjusting the rate that other banks have to pay to borrow those funds. The value of the currency that the seller receives is, therefore, unpredictable and subject to the decision of a central banker. Any decision the banker makes will be in the interest of the economy as a whole but it might not be in the interest of individuals holding the currency. They have a little direct say and can only try to guess the direction the currency might take. In January 2009, that Internet saw the release of its own currency. Bitcoin is uncontrolled by central banks. It has no existence outside of the digital world. And it’s entirely peer-to-peer. The currency is based on an idea published pseudonymously in a research paper by Satoshi Nakamoto. 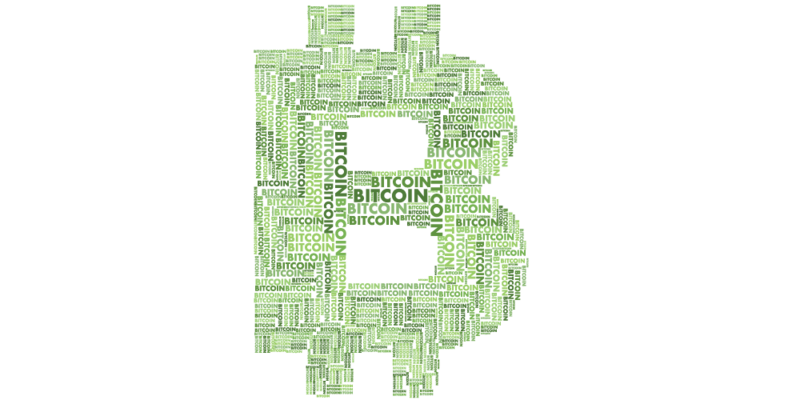 Instead of a mint that prints money, bitcoin uses the blockchain, a kind of digital ledger that tracks the movement of tokens from one wallet to another. As users record their transactions, other users collect those records, bundle them together into blocks and add them to the ledger. In return for each block added to the blockchain, those “miners” are given bitcoin of their own. In order to control the rate at which those new bitcoins are produced, the miners have to solve a guessing game whose complexity can be monitored. If bitcoins are being awarded too quickly, the technology automatically increases the difficulty of the guessing game, maintaining a predictable increase in the release of a new currency. The result is a continuously updated record of transactions, the ability to check the location of bitcoins at any time and a currency that’s anonymous, predictable and free of government or banking control. For users, bitcoin offers a number of significant advantages. The low usage costs are an especially strong benefit. Instead of paying the 3 percent fees usually demanded by credit companies, the cost of transferring bitcoin is negligible. Adding a small tip to a transaction increases the speed to which a miner is likely to pick it up, bundle it and add it to the blockchain but that fee typically ranges between ten and 20 satoshis — between one and two cents. The transactions might be included in the blockchain almost immediately but it’s a good idea to wait a couple of hours to make sure that the blocks aren’t rolled back. Within a couple of hours, enough new blocks will have been added to make sure the transaction can’t be removed. In theory, then, people who are willing to accept and receive bitcoin have access to an international currency with next to no transaction costs and whose transactions are almost instantaneous. The lack of a central bank, though, does bring concerns. The value of a fiat currency reflects the wealth of the country as a whole and the state of its economy. Bitcoin isn’t attached to any economy. Its value is a product of its perceived usefulness, and that can vary. As a result, bitcoin has been plagued by a high degree of volatility. The bitcoin volatility index, a measure of the currency’s movement, typically gives the currency a 60-day volatility rate of around 4 percent. By way of contrast, instability in a fiat currency will usually be between 0.5 and 1 percent. That volatility can be both an advantage and a risk. Someone who had accepted $100 in Bitcoin at the start of 2013, when the price was about $11, would now have around $10,000 worth of bitcoin — a pretty good return for a seven-year holding. In between, though, he would have seen the dollar value of his holdings rise close to that level in November 2013 only to drop to around $20 over the following months before climbing again. That volatility is driven by a number of factors. The small volumes traded in contrast to fiat transactions mean that any significant movement can have an effect on the market in either direction. Rumors, such as the expectation that bitcoin would be approved as an exchange-traded fund, can influence demand. And despite its apparent impregnability, bitcoin has also been plagued by security issues. In 2014, Mt. Gox, then the largest bitcoin exchange, a place where people could buy and sell bitcoin for fiat, collapsed into bankruptcy with $27.4 million missing from its bank accounts… and another $460 million in bitcoin apparently stolen by hackers. It was mostly a tale of incompetence. An account of the company’s collapse in Wired described a financial services site that pushed out untested software changes to customers, had no version control to prevent coders overwriting each other’s files as they were working on them, and allowed security patches to wait for weeks for approval. Mt. Gox was, in effect, everything that could go wrong with fintech: an important idea badly implemented whose collapse had a large impact on both the public and the industry as a whole. It was a while before potential bitcoin users had the courage to dip back in. And bitcoin has been plagued by a series of other hacking incidents that have allowed the currency to be siphoned from exchanges and other holdings. Despite those setbacks, though, demand for the currency has continued to grow and because the production of bitcoin is restricted, its price has increased too. The idea of the blockchain is an act of technical wizardry that has implications beyond the world of finance where it can be used anywhere an unchangeable digital ledger could be useful. It also allows anyone, in theory, to send and receive coins without an intermediary using only the bitcoin software itself. In practice, however, bitcoin users tend to register with wallets that allow them to send and receive bitcoins as easily as they can with any other digital wallet. And like digital wallets that take fiat currency, those exchanges and wallets are restricted by region and compete for customers according to the services they offer, the usability of their features and the speed of their customer service. Coinbase, for example, is among the platforms setting the standard for bitcoin exchanges with a platform that looks a great deal like any other digital wallet. The site has changed around $6 billion worth of digital currency, serving nearly six million people in 33 countries. Obtaining bitcoin on the site is as simple as registering, connecting a bank account, debit card or credit card and using those funds to buy bitcoin. Or, having registered, receiving bitcoin from someone who sends it to their public key or email address. 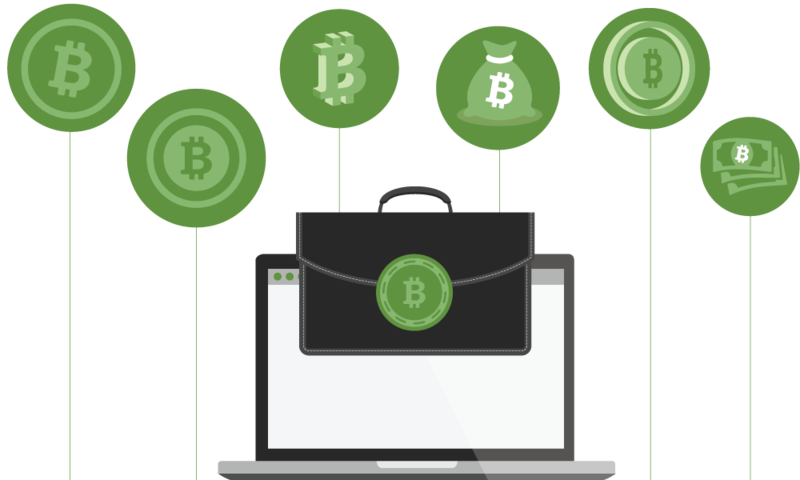 In addition to those essential services, though, Coinbase tries to win customers by emphasizing its mobile wallet that gives users access to their funds at any time; the secure offline storage that keeps their holdings safe from hackers; the insurance protection in case in that offline storage is hacked; multi-signature vaults that allow funds to be held in escrow; and even scheduled buys that enable users to slowly build their holdings. Those additional features aren’t intrinsic to cryptocurrency, any more than Crypto Facilities’ hedges and leverage tools came with Satoshi Nakamoto’s original white paper. But they do show that even when using a tool as innovative as the blockchain, it is still possible to continue innovating and looking for new ways to develop the technology. In fact, one advance is locked into Coinbase itself. In addition to being able to buy bitcoin, Coinbase’s customers can also buy Ethereum, an alternative cryptocurrency. Altogether, there are now at least a hundred different cryptocurrencies which have a combined market capitalization of nearly $21 billion. Bitcoin makes up over $18 billion of that total; Ethereum comes a distant second with a market capitalization of a little over a billion dollars. But Ethereum isn’t a direct competitor to bitcoin. Instead, it takes the idea of a cryptocurrency even further by allowing anyone to create their own tradable tokens. Describing itself as a “decentralized platform that runs smart contracts,” it effectively opens up blockchain technology to anyone who wants to use it. Services that people have built using Ethereum include insurance policies for flight delays and crop damage, a decentralized hedge fund with social trading, and an advertising platform with revenue sharing for referrals. The blockchain on which a whole new currency depends has allowed anyone — any person with an understanding of coding, that is — to not just create their own currencies but to use the idea of a currency to build entire applications. Even if few people are currently using those applications, the growth of bitcoin and its rapid rise in value has shown that a way of paying for goods that have been used for millennia is currently in the process of undergoing endless experimentation and progress. There’s money in finance, and not just in clients’ accounts. Investors have noticed the demand for technology-based investment services. They’ve seen how quickly and successfully PayPal grew, and they recognize that the fintech industry is on the edge of a whole new transformation. From refinements in long-established eCommerce platforms to new digital currencies and transactions that can be made directly between individuals without ever touching cash, investors understand that we are now entering a whole new commercial area. And it’s big. Everyone has to make payments and they do it several times a day. The prize for helping to build a platform that’s commonly used will be enormous, and with such a broad range of experimentation, investors are spraying large sums of money in a variety of different directions. 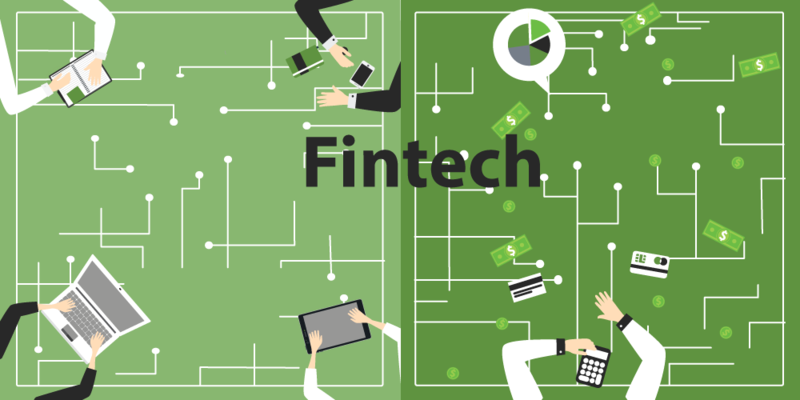 According to one infographic produced by financial monitoring service Call Levels, between 2013 and 2014 investment in fintech quadrupled to reach $12 billion. By 2015, total global investment in fintech amounted to nearly $50 billion. In the first half of 2015 alone, investors poured $12.7 billion into fintech ideas. About 40 percent of that money is going to payment processing and lending solutions. London, one of the global hubs of fintech, has seen a number of high-profile — and high value — investments. In April 2015, a funding round drew $150 million from five funds into Funding Circle. The investment valued the peer-to-peer business lending firm at a billion dollars. WorldRemit, a mobile wallet that primarily serves emerging markets, received $100 million, valuing the company at $500 million. Transferwise, which is trying to revolutionize cross-border transactions in the same way that Skype revolutionized communications, received $58 million from investors including Andreessen Horowitz and Seedcamp, also valuing it at a billion dollars. The company sends around a billion dollars every month using accounts in multiple countries and multiple currencies to enable payments sent in one country to be distributed in a different currency on the other side of the world without ever crossing a border. In February 2017, Transferwise released a chatbot that integrates with Facebook Messenger to allow payments to be made using Facebook’s chat program outside the United States. Investments in bitcoin-related businesses have been almost as volatile as the currency itself. Around $265 million of venture capital were shared among companies working in bitcoin technology in the first half of 2016. That’s more than double the amount invested the previous six months… and 79 percent of the amount invested during the same period the previous year. Bitcoin, it appears, is never predictable. Those investments included $60 million for Circle, a bitcoin wallet, and peer-to-peer payment platform. It was the company’s fourth funding round, bringing total investments to $136 million. Ripple Labs, a San Francisco company that makes a cryptocurrency used to manage banking transactions, received $55 million in series B funding in September 2016, giving it a total of $93.6 million in investments. Another blockchain-based company to do well in 2016 was Digital Asset Holdings, which picked up $60 million for its first round. Most of the million-dollar-plus investments in the first half of 2016 however, went to companies outside the United States. Businesses in Barbados, Israel, Japan, the UK, and China all received funding for their bitcoin ventures. Across fintech as a whole, Asia soaked up $3.5 billion of investment in the first three-quarters of 2015, a leap from $880 million, while European firms received a total of $4.4 billion. Not all of the venture capital interest is going to blockchain and digital wallets, though. The third area that’s seen a significant amount of investment is cloud-based finance. The BBC has quoted a report by software company Temenos that found nearly nine in ten financial applications now run at least one application in the cloud, up from 57 percent in 2009. Others are using cloud platform providers such as Amazon Web Services, Microsoft Azure, and Google Cloud to hold their financial data. Dutch firm Ohpen uses Amazon’s cloud service to help other companies manage investment funds and savings accounts. Auka, a Norwegian company, has managed to build a mobile payments platform entirely on Google Cloud. Concerns remain about security for cloud-based finance but there’s no shortage of funds floating around to help companies resolve those issues. Clearly, trying to predict which of the billions of dollars of investments that are being made in fintech will work out and which will collapse is going to be impossible. But it’s clear that the smart money has recognized the value of fintech development and is giving the industry the finance it needs to experiment and grow. Settling a debt used to be a complicated process. Barter required both sides of a transaction to guess the value of the goods they were considering exchanging. How should a farmer price a pair of chickens against the contents of his bag of grain? Are a meal and a cup of beer a fair return for a day’s labor? The rise of money removed those questions by placing a clear if changing, the value of goods and services. The system was so efficient and so useful that it remained virtually unchanged for millennia. The heads of the monarchs on the coins, then notes, of the realm might have altered and been replaced by poets, scientists, and engineers but the idea behind the currency that we use today is the same as it was thousands of years ago. That idea remains, but it now has to compete with a whole host of different ways of settling debts that are often faster, easier and more convenient than old-fashioned cash. In this report, we looked at how those methods are developing. We started with eCommerce payments not just because they’re the most mature innovation in fintech but because they also show how a development that appears to be revolutionary and dynamic can quickly settle. A space that once raised eyebrows as soon as it raised share prices has now become an area where the innovation is relatively small but the competition has become increasingly fierce. Businesses now have a range of options that they can use to take payments from almost anywhere in the world without ever seeing a coin or a banknote. Just as those options were beginning to settle, though, technology gave the industry a new challenge in the form of mobile devices. The ability to receive payment on a website was no longer sufficient when websites were viewed on less than five inches of screen space. E-commerce had to adapt but manufacturers and fintech entrepreneurs also saw that the devices could function as financial tools in themselves. Sellers were able to offer apps that moved the point of sale from the cash desk to wherever the customer happened to be; device manufacturers have encouraged users to connect their finances to their devices, reassuring them with fingerprint identification technology and other security features, and are persuading them to make payments with a cashless swipe. Wallets and purses are no longer necessary, and a retail transaction now can be completed with nothing more than a mobile phone. Those mobile payments depend on the presence of a new chip in the device, but mobile phones were designed to bring people together. Those human connections have created a new channel for payments made between friends who know and trust each other. The rise of P2P payments and loans has shown both the market for the service and the challenges of meeting the demands of that market. 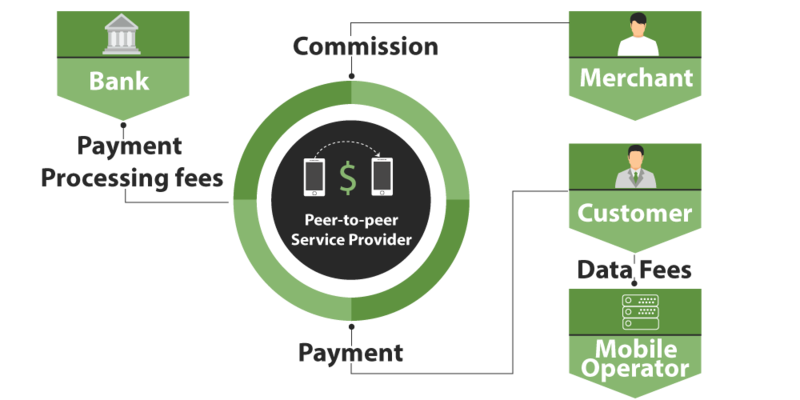 Service providers are still struggling to monetize P2P payment, a conflict that won’t become easier if social media expands into its space, as it has already done in China. Attempts by leading P2P payment providers to find customers willing to pay could cannibalize sales on other eCommerce platforms. Customers, it appears, can continue to enjoy increased competition and downward pressure on costs. For those willing to look beyond dollars and euros, the rise of bitcoin as a digital currency and, at the start of 2017, its sustained rise in value, has opened a whole new opportunity. While bitcoin has met its promise to escape the grip of national banks, the idea that it could cut out middlemen and work entirely on a P2P basis has proved less realistic. The cryptocurrency space is now filled with businesses large and small that provide exchange, security, investment and other services to bitcoin users for a fee. Bitcoin might be free to move around but it costs money to change into a currency that most sellers will accept. And while the currency has escaped the decisions of a central banker, it’s still vulnerable to changes in the value of fiat currencies and other stimuli that have sent its value soaring and crashing then rising again over the last few years. It’s a risk, like the rest of the fintech industry, and where’s there’s risk there are also rewards. Investors are now pouring billions of dollars into an industry packed with opportunity, dynamism, innovation and change. Much of that money will be lost. Companies will offer solutions for which there are no problems and businesses that supply good; reliable services will see off rivals who fail to satisfy their customers. As fintech marches through 2017, ultimately it will be customers who decide which platforms offer the greatest convenience, the lowest fees, and the best experience when making and receiving payments.